"Lets get drunk and tell each others everything we're too afraid to say sober." "I drink to forget I drink." 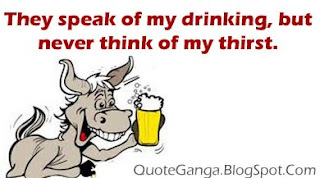 I go angry when people ask me "Do you drink?" Like of course, I drink, I have water every day and when I want to loosen up a bit I have a juice box. "The problem with some people is that when they aren't drunk they're sober." "An alcoholic has been lightly defined as a man who drinks more than his own doctor." 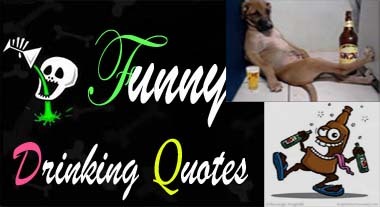 "Being half drunk is just another way of saying -your almost there." "If you resolve to give up smoking, drinking and loving, you don't actually live longer; it just seems longer." 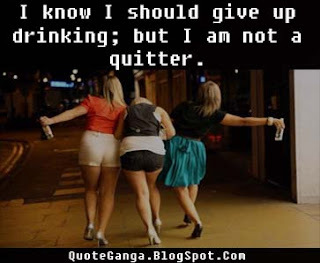 "I never turned to drink. It seemed to turn to me." "Never cry over split milk. It could've been whiskey." "Everybody should believe in something; I believe I'll have another drink."